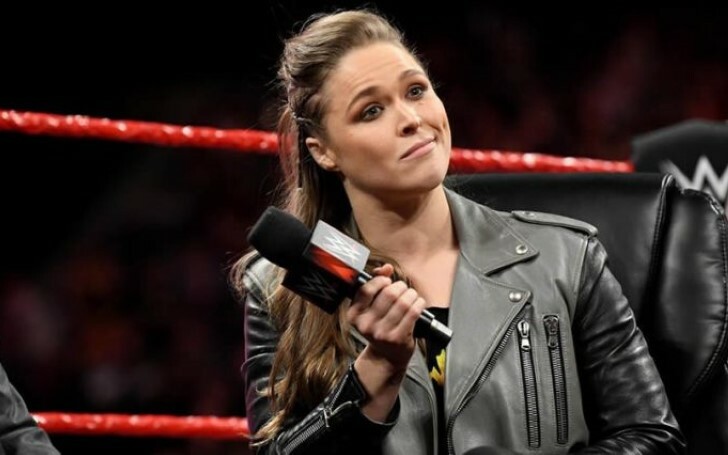 Shortly after rumors claiming Ronda Rousey to quit after Wrestlemania 35 surfaced, WWE released a statement addressing the speculation. On the eve of the appearance of Ronda Rousey at Royal Rumble on Sunday, WWE issues a statement on the future of the wrestler. According to the report in Wrestling Observer by Dave Meltzer, "everyone is working with the mindset that she’s finishing up” following Wrestle Mania 35. Rousey, however, is under contract with the company for another two years. Earlier this week, rumors regarding Ronda's departure from WWE surfaced after Dave Meltzer reported in the Wrestling Observer Newsletter Ronda Rousey could be leaving WWE following WrestleMania 35 in April to start a family with her husband Travis Browne. The wrestler who seemingly will be a slightly infrequent performer after WrestleMania 35 on April 2021, when her contract is up, responded to the rumor through a statement released by ESPN reporter Ramona Shelburne. I’ve not kept it a secret that I would definitely want to start a family. But how do you go about doing that? I love this way more than I thought that I would. So do you just keep going until you just happen to get pregnant? Or should you stop and go try and get pregnant? Or is going and trying to get pregnant putting yourself on the spot and then you’re less likely to get pregnant? I’ve never had a baby before, I don’t know these kinds of things." The former UFC superstar best known for her highly dominant winning streak made her debut in the professional wrestling with the 2018 Royal Rumble pay-per-view. As one of the most pushed superstar in the RAW Women's Division, Ronda won the RAW Women's Championship in almost no time at all. Her undefeated streak, however, was broken last week after she lost a Tag Team match. Ronda will appear on Sunday's Royal Rumble pay-per-view where she’ll be defending her Raw Women’s Championship against Sasha Banks.